HAMMERFALL - GLORY TO THE BRAVE 20 YEAR ANNIV. EDIT. VINYL (2LP BLACK) | Online Shop | Wizard LTD. Album: "GLORY TO THE BRAVE 20 YEAR ANNIV. EDIT. VINYL (2LP BLACK)"
Let&apos;s celebrate the 20th anniversary of a milestone. 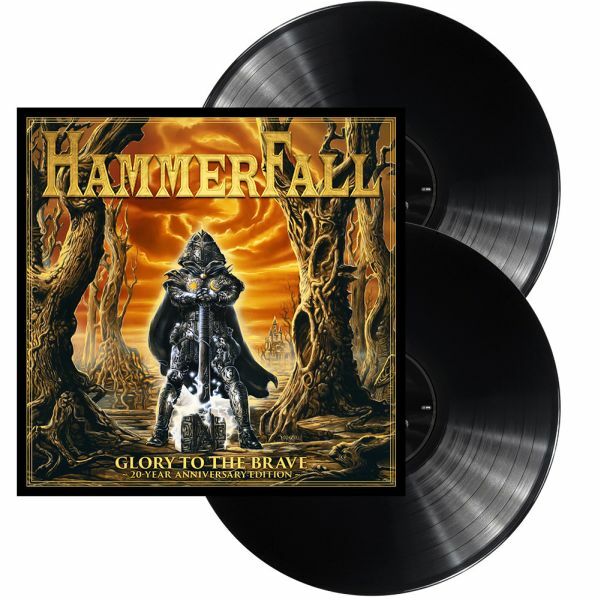 HAMMERFALL debutalbum "Glory To The Brave" was released back in 1997. After 20 years, the album is now rereleased as a special anniversary edition including lots of bonus material.